FANBOY PLANET.com . : Tom Hardy Loading 100 Bullets :. This has been bubbling around the rumor mill for a couple of months, after producer/actor Tom Hardy talked about leaving the cast of Suicide Squad, where he had originally been cast as team leader Rick Flag. He has mentioned that he was still circling around a comic book project that he really loved, and that no one was going to expect. Well, The Hollywood Reporter broke the story today that the project, as we suspected, is 100 Bullets, the critically acclaimed and ultra-violent Vertigo series by Brian Azzarello and Eduardo Risso. Just before Comic-Con, we also ran a story that Warner Entertainment had shifted all the Vertigo titles from Warner Studios to New Line Cinema. 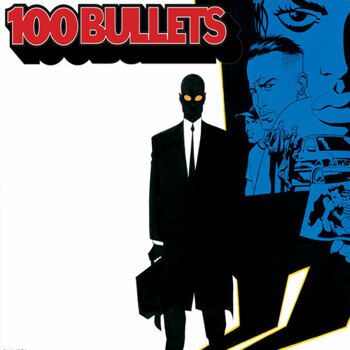 Naturally, then, 100 Bullets will be from New Line, which also has Shazam! in development with Dwayne Johnson, and an adaptation of Neil Gaiman's The Sandman with Joseph Gordon-Levitt attached to star and direct. For 100 Bullets, Hardy will star and co-produce with Dean Baker under their company Hardy Son & Baker. A script is reportedly in place by Chris Borelli, who recently wrote The Vatican Tapes and appears to be working on Joe Hill's Twittering from the Circus of the Dead (which by the way is a short story that scared the crap out of me). And don't worry, Geoff Johns is involved as well, somehow. 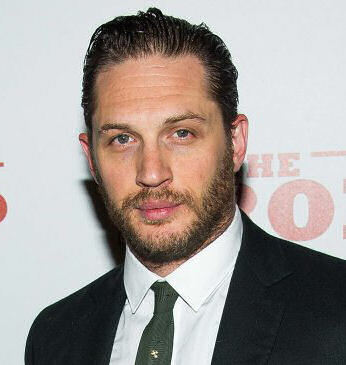 Though the original article does not mention it, we'd have to assume this is meant as a franchise, but what hasn't been announced is what role Hardy will play -- if he intends to star in a series, or play a character easily written out. The comics series, which ran from 1999 to 2009, starts out looking like an anthology, stories of vengeance and/or justice bound together by the mysterious Agent Graves. When someone has been wronged, he appears with a briefcase and a proposition. The briefcase contains 100 untraceable bullets, and the name of the person who has ruined their life. The proposition, of course, is will they commit murder if they can get away with it? Eventually the larger story comes into focus, with several recipients of the briefcase returning and coalescing into a group called the Minutemen. It becomes clear that Graves has a very specific agenda -- and a very specific enemy. In 2013-2014, Vertigo followed up with a mini-series from Azzarello and Risso subtitled "Brother Lono." The Vertigo series had once been in development as a television series from producer/writer Akiva Goldsman but we, um, dodged that bullet.